Photo courtesy of City of Alexandria. Hey, all, if you live or just occasionally ride through the City of Alexandria, here is an opportunity to provide input about and show your support for bicycling in our region. Alexandria has applied to the League of American Bicyclists to be recognized as a Gold Level Bike Friendly Community. 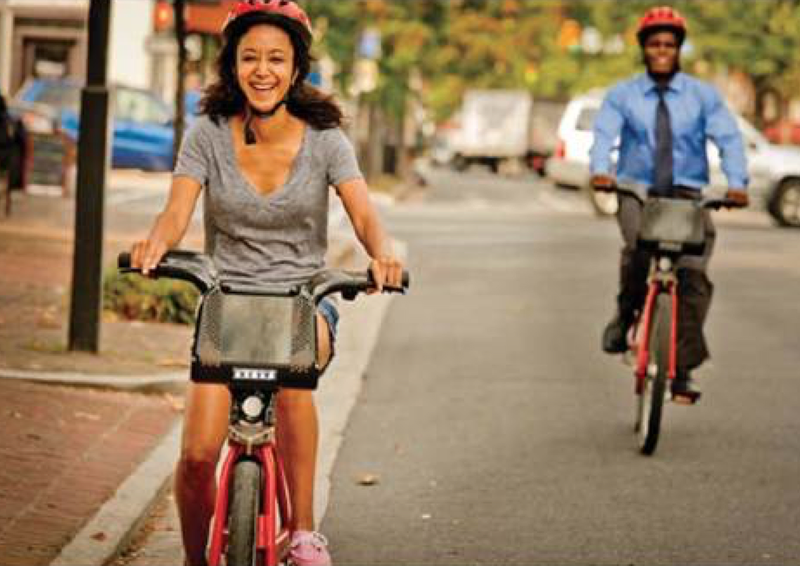 This is really important and FABB encourages everyone (you DON'T have to be a resident) to help the city and the League gain a better understanding of local bicyclists' experiences in and around Alexandria by taking this survey. A Vision Zero Action Plan and a Complete Streets Program. Expansion of BikeShare across the city. Alexandria City Public Schools providing bicycling safety and skills education in a growing number of elementary schools. Please take a few minutes to take the survey about bicycling in Alexandria. Again, you do not have to be a resident of Alexandria to take the survey, which will remain open through Sunday, April 8th. But, don't wait. Please do it now. Award results will be announced during National Bike Month in May.